1. 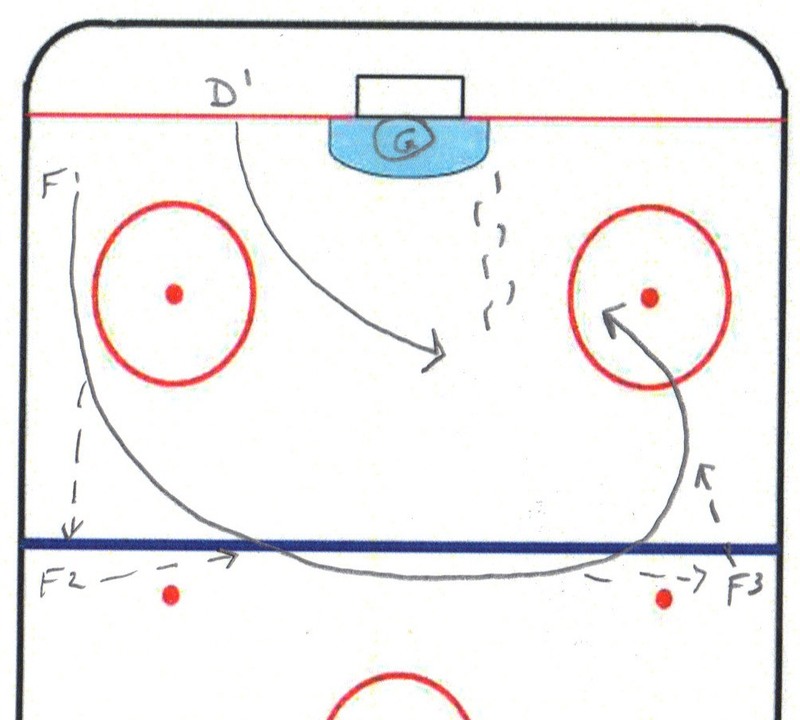 Line up 2 players at opposite sides of the blue lines. 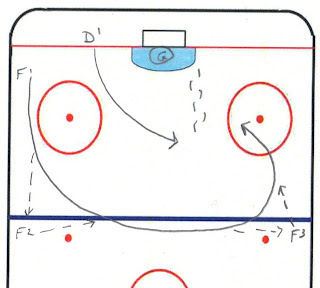 You can adjust to full rink if you have it and run the drill down the wall starting the D at the opposite ends.